Better manage your inbox. Turn emails into tasks, with notes and due dates. Pick a project, prioritize, and assign to a teammate, all without leaving Gmail. 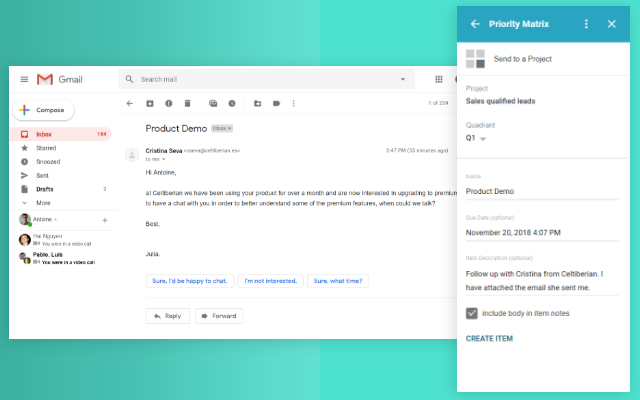 With Priority Matrix for Gmail, see how easy it is to reach inbox zero, and stay focused. Install it now for all your team, and start exploring! Any emails you send are added to your Priority Matrix inbox or a project. Please contact us for feedback or suggestions and we'll get back to you.